An article with the phrase “the theologian’s responsibility to tradition” in the title is bound to elicit knee-jerk reactions on all sides of the theological divide. Perhaps the prototypical “traditionalist”2 will be relieved to hear a theologian speak up for tradition in a scene often dominated by historical-critical skepticism and “identity politics.” From the other side, one is open to the suspicion of hiding from contemporary, “real world” problems and injustices by escaping to the safety of some ideal age in the theological past. In short, what we have come to call theological progressives and conservatives tend to have fairly strong a priori assumptions about theology’s relationship to tradition; one is either a conservative who is out to preserve tradition or one is a progressive who sees the theologian’s task as “speaking truth to power.” In what follows, however, I would like to get beneath these all-too-superficial debates by taking a more fundamental look at what a Catholic means by tradition on the one hand and by theology on the other. As is always the case, there is no getting past an impasse as long as we do not understand the terms we too often carelessly throw around. 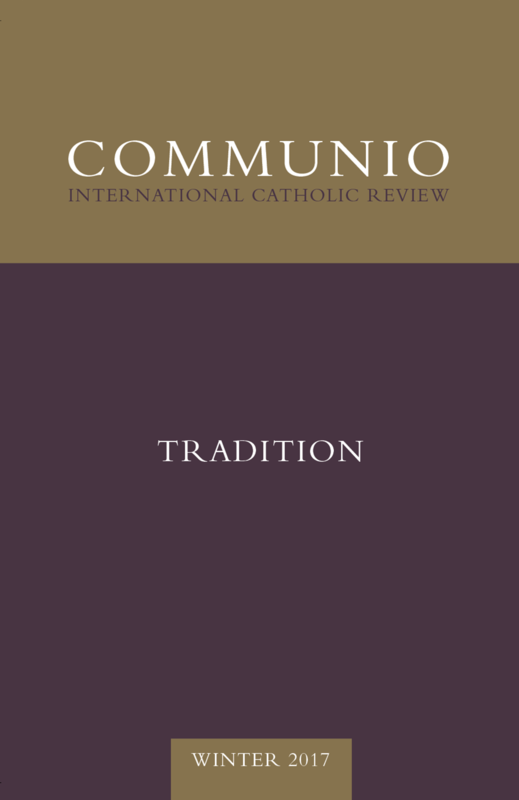 What I would like to suggest in what follows is that a proper understanding of the role of tradition, not just in Catholic theology but in human life in general, will go a long way in helping to clarify both the theologian’s de facto relationship to tradition, and also the theologian’s task within the Church.